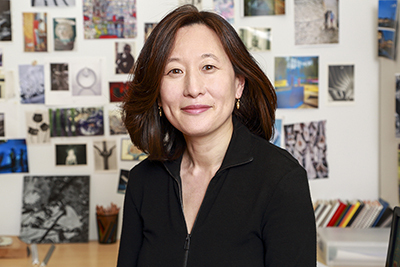 Mikyoung Kim MLA ’92 is the recipient of this year’s Design Medal from the American Society of Landscape Architects (ASLA), one of the most prestigious honors bestowed upon a landscape architect. The Medal recognizes an individual “who has produced a body of exceptional design work at a sustained level for at least ten years,” according to its website. “It is a tremendous honor to be recognized and supported by my peers and clients. This recognition is an amazing moment for me because it not only honors the work of my office, but also highlights the importance of resiliency, restoration, and creative thinking,” Kim said in a press release.  She is founding principal and design director of Mikyoung Kim Design, an international, woman-owned, landscape architecture and urban design firm based in Boston. The studio’s award-winning body of work addresses the most pressing environmental and health-related issues, while creating artful and immersive experiences. Earlier this year, the firm received the National Design Award from Cooper Hewitt, Smithsonian Design Museum. Kim currently serves as a Design Critic in Landscape Architecture at the GSD. She led the fall 2017 option studio “Civic Spaces in an Age of Hyper-Complexity: From Protest to Reverie” with Bryan Chou, Design Leader at Mikyoung Kim Design. Previous GSD alumni winners of the ASLA Design Medal include Gary Hilderbrand MLA ’85 in 2017, Andrea Cochran MLA ’79 in 2014, Stuart Owen Dawson MLA ’58 in 2013, Peter Walker MLA ’57 in 2012, Richard Shaw MLA ’76 in 2009, Richard Haag MLA ’52 in 2007, and Lawrence Halprin BLA ’44 in 2003. 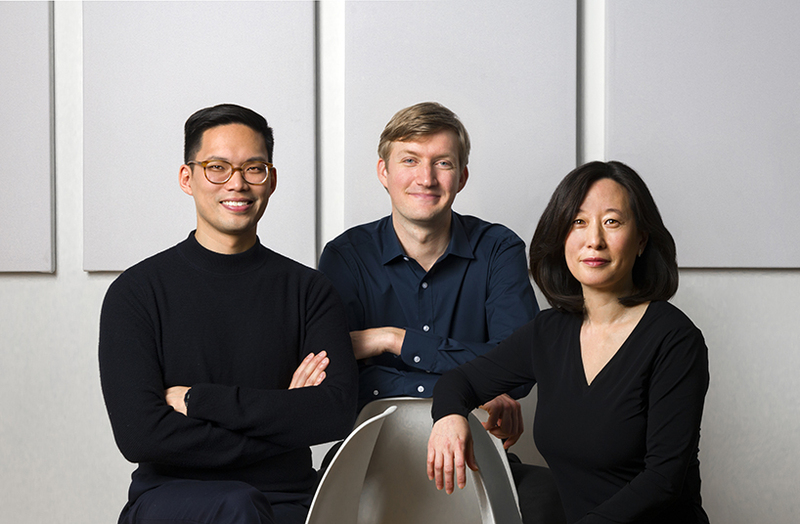 Mikyoung Kim Design, the firm of Mikyoung Kim MLA ’92, is this year’s recipient of the Cooper Hewitt National Design Award for Landscape Architecture. The awards celebrate “design as a vital humanistic tool in shaping the world, and seeks to increase national awareness of design by educating the public and promoting excellence, innovation, and lasting achievement,” according to their website. Mikyoung Kim Design is an international landscape architecture and urban design firm based in Boston. Projects include the Chongae River Restoration, Crown Sky Garden, and Prudential Plaza. “We’re so honored to receive this recognition from Cooper Hewitt this year. It’s really exciting to be acknowledged for doing the kind of unique work that we love. This award is the ultimate reflection of the creative spirit and dedication of our team, who are some of the most talented designers I’ve had the pleasure with which to collaborate,” said Kim in the firm’s press release. The firm will receive their award at a ceremony on Thursday, October 18, 2018, at the Arthur Ross Terrace and Garden. Image: ChonGae River Restoration Project in Seoul, South Korea. Projects by three alumni have been honored with 2018 MASterworks Awards from the The Municipal Art Society of New York. The awards celebrate designs that make a significant contribution to the built environment of New York City. 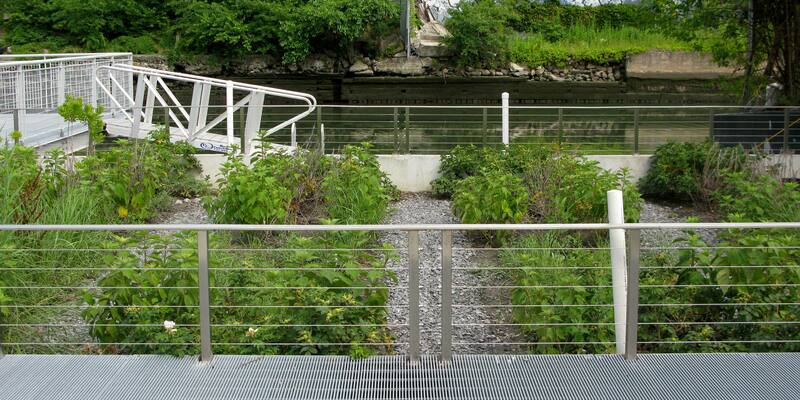 DLANDstudio, the firm founded by Susannah Drake MArch ’95, MLA ’95, won “Best Urban Landscape” for the project Gowanus Canal Sponge Park; ARO, the firm of Stephen Cassell MArch ’92, won “Best New Building” for their Brooklyn Bridge Park Boathouse; and WORKac, the firm of Amale Andraos MArch ’99, won “Best New Urban Amenity” for the Kew Gardens Hills Library project. Recipients will be honored at an event on April 11 that will also toast to MAS’s 125th Anniversary. Image: Gowanus Canal Sponge Park, courtesy of MAS. The Boston Society of Architects celebrated its 2017 Design Award recipients at a gala on January 18, 2018. A number of Harvard University Graduate School of alumni and their firms were recognized, including Henry Cobb AB ’47, MArch ’49 who received the 2017 BSA Award of Honor. Other alumni honored include Matthew Kiefer LF ’96 (BSA Honorary Membership); Roger Ferris + Partners, firm of Roger P. Ferris LF ’92, MDes ’93 (Category: Housing Design, Project: Green House, Client: Private (award)); Kennedy and Violich Architecture, firm of Sheila Kennedy MArch ’85 and J. Frano Violich MArch ’84 (Category: Small Firms/Small Projects Design Awards, Project: Meister Consultants Group—A Cadmus Company Offices, Clients: Meister Consultants Group (award)); La Dallman Architects, firm of Grace La AB ’92, MArch ’95 and James Dallman MArch ’92 (Category: Unbuilt Architecture and Design, Projects: Industrial Capriccio: Floating Garden (honor award) and Waterlily Landing (citation)); and NADAAA, firm of Nader Tehrani MAUD ’91 (Category: Unbuilt Architecture and Design, Project: Justice in Design (award); Category: Honor Awards for Design Excellence, Project: Tanderrum Pedestrian Bridge with John Wardle Architects, Client: Major Projects Victoria (honor award)). See the full list of 2017 Design Award winners. 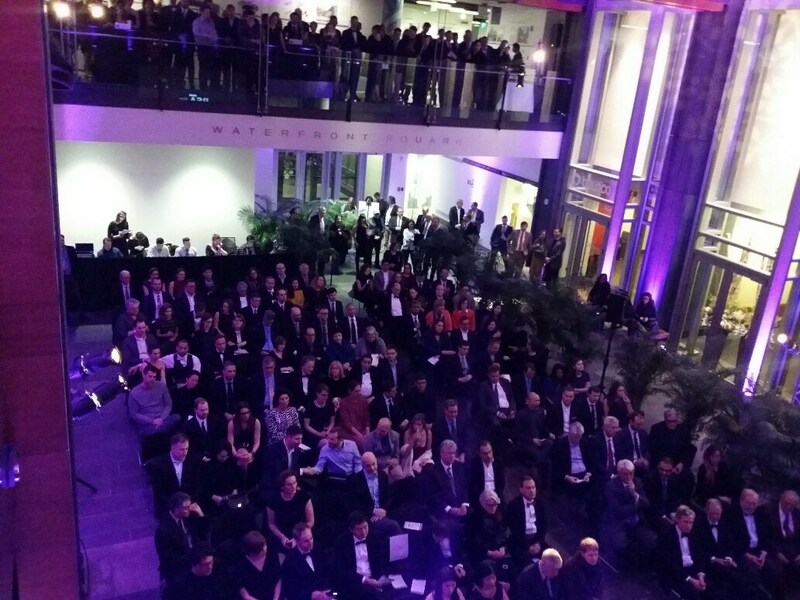 Read more about the Gala. Image courtesy of the Boston Real Estate Times. More information, including the full list of 2017 winners. Photo: Windhover Contemplative Center at Stanford University, Andrea Cochran Landscape Architecture. Machado and Silvetti Associates, the architecture and urban design firm of Rodolfo Machado and Jorge Silvetti, Nelson Robinson Jr. Professor of Architecture at the GSD, is now known as Machado Silvetti. In addition, the practice has added four new partners, three of whom are GSD alums: Stephanie Randazzo Dwyer, Edwin Goodell MArch ’89, Craig Mutter MArch ’92, and Jeffry Burchard MArch ’08. After more than three decades of steady, successful practice, Machado Silvetti’s portfolio reflects the diverse scope, scale and breadth of the firm’s experiences. Securing and building on this legacy, the new office structure represents an evolution of the practice while reflecting the persistent quality and spirit of the work. Visit their new website at machado-silvetti.com.